The concern of suffering from an illness such as Cancer, Alzheimer or Parkinson’s, for example, is very common among the population. These illnesses are in our genes, from there comes the importance of knowing our genetics in order to prevent them, diagnose them with accuracy and/or treat them with the greatest precision possible. It is an extremely personalised medicine. Thanks to the advances in Genetic Medicine, it is possible, through simple blood tests, to determine the individual risk of suffering certain diseases. 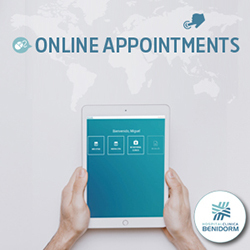 Because of this, the Unit of Clinical Genetics of Hospital Clínica Benidorm offers medical assessment to perform genetic tests with the most information and benefit for each patient. 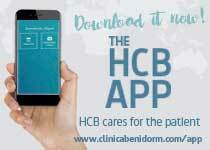 This medical discipline, in collaboration with the principal reference and specialist units of HCB, not only helps to know the predisposition of the patients towards specific illnesses but also collaborates in the design of personalised treatments and very exhaustive follow up care for the patient allowing each patient to receive the exact treatment they need. The genetic tests are simple blood tests or on some occasions, saliva samples. 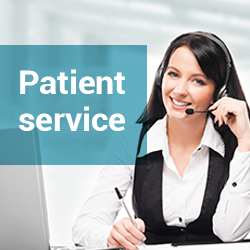 The patient, assessed by the specialist in Clinical Genetics, can perform the test that they require depending on their objective: prevent illness, diagnose with greater precision a type of illness or help to design the best treatment plan in collaboration with their specialist. The specialist of the HCB Unit of Clinical Genetics will prescribe the test or tests depending on the needs and medical history of the patient. The sample of blood or saliva is collected in the Laboratory Service of HCB. It is sent to a specialised Laboratory. The specialist of the Unit will receive the results (approximately in 10 working days or depending on the type of test) and will inform the patient. The results situate the patient in a range of risk that is low, moderate or high. Regardless of the range of risk, the specialist will provide the patient with a series of guidelines for carrying out a healthy lifestyle depending on their genetics and predisposition to illness as well as a series of preventative measures and recommendations. Test for the detection of the risk of cancer of the breast (BRCA+), ovaries, cervix and endometrium. Test for the detection of the risk of pancreatic cancer. Test for the detection of the risk of prostate cancer. Test for the detection of the risk of Melanoma. Test for the detection of the risk in the general population for suffering from sporadic and /or hereditary cancer. Test for the evaluation of the risk of suffering degenerative neurological diseases such as ELA, Parkinson and Alzheimer. Genetic and Biochemical study for the diagnosis and treatment of the migraine. Detect food intolerances of genetic origin. Metabolism depends greatly on the genes; because of this, each person metabolises the same nutrients differently. Avoid adverse reactions to certain medications and adjust the individual doses for each patient. Each person metabolises medications differently. Because of this, variations appear in the results of the treatments of each patient. Adverse reactions, little or no effect of the medication, constant adjustment of the dosage…can all be the result of a medication being inadequate for the patient. The effect of a medication should not be a question of luck. With this test we evaluate the most used pharmaceuticals and what would be the effect and the response of each particular patient upon receiving them. Maternal age over 34 years old. History of pregnancies with chromosome alterations or repetitive miscarriages. Detected incremented risk in the biochemical markers performed in the first trimester or foetus with specific ultrasound alterations. Detection of ADD, Autism, Hyperactivity Syndrome, stunted growth.